Here we go again? Maybe, maybe not. Regardless, Carrington Mortgage Services has launched a new line of subprime mortgages available to the 100 million odd U.S. consumers who have less than perfect credit. For the record, Carrington already offers subprime loans via government channels, like the FHA and VA, since both permit credit scores in the 500s, which is well below the typical 620 FICO score subprime cutoff. What makes this more interesting is that the loans aren’t backed by Fannie Mae and Freddie Mac, or Ginnie Mae, so they appear to a be a proprietary loan solution offered up by Carrington. My assumption is that the new line of mortgages will be considered non-QM, which means they don’t comply with the Qualified Mortgage rule. Among other things, the QM rule requires a max DTI ratio of 43% and no excessive upfront points and fees, with a 3% cap in place. It’s possible some of the loans may still earn the QM stamp of approval, but it will probably depend on the loan in question. Anyway, Carrington says they are an “ideal solution” for those who have lower credit scores, high debt-to-income ratios, a recent credit event, or just happen to be self-employed. Carrington says the new loan options are non-agency, meaning they don’t comply with the underwriting guidelines of Fannie or Freddie. One reason they don’t is because the minimum credit score allowed by that pair is 620. Carrington is allowing credit scores to be a full 120 points below the subprime cutoff. Talk about home loans for bad credit! Additionally, they’re allowing jumbo loan amounts, which exceed the current conforming loan limit of $453,100. For self-employed borrowers, they’re allowing bank statements in place of tax returns from the IRS, another added flexibility for those unable to produce typical loan documentation. Finally, they’ll permit recent credit events such as a missed credit card or late mortgage payment, outright foreclosure, or even bankruptcy, things that would typically bar an individual from conforming or government loan products. Are We Going Down That Road Again? Didn’t we learn our lesson? You might be thinking, what they heck are they thinking! Why would they start offering subprime mortgages again just a decade after the biggest financial crisis in history? Well, it might have to do with their approach this time around. You can argue that low credit scores were the cause of the crisis, but we found that many of those who defaulted on their loans had great credit. It’s just that they had no skin in the game, aka down payment, back then, nor were they actually qualified to carry a mortgage in many cases. In 2006, lots of home loans weren’t properly underwritten, regardless of credit score. So it didn’t matter if they had an 800 FICO or a 500 FICO, if income and assets weren’t documented, it made for a risky loan. One could argue that it wasn’t just one underwriting factor that led to the prior housing crisis – it was layered risk. Put simply, this is a multitude of factors that when combined create a very high-risk home loan. 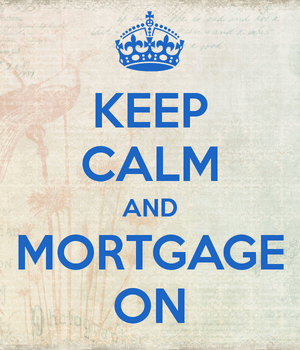 For example, a borrower with a very low credit score, high DTI ratio, no/low down payment, and limited documentation. Conversely, a borrower with a very low credit score but a large amount of assets and down payment, along with a solid job/income, could be a suitable candidate for a home loan. Let’s hope it’s that latter bunch – this seems to be the trend among non-QM loan offerings at the moment. The good news is qualified borrowers with out-of-the-box loan scenarios may have another place to turn now other than Fannie, Freddie, and the FHA if they need home loan financing.